Every family has a funny story that’s revisited at almost every family gathering. And, even though everyone has heard it a hundred times, it still makes everyone laugh. Share such funny stories of your family with them and they’ll turn them into episodes, so we can share a laugh with the world. What’s more, you can also get a chance to appear on SABTV. 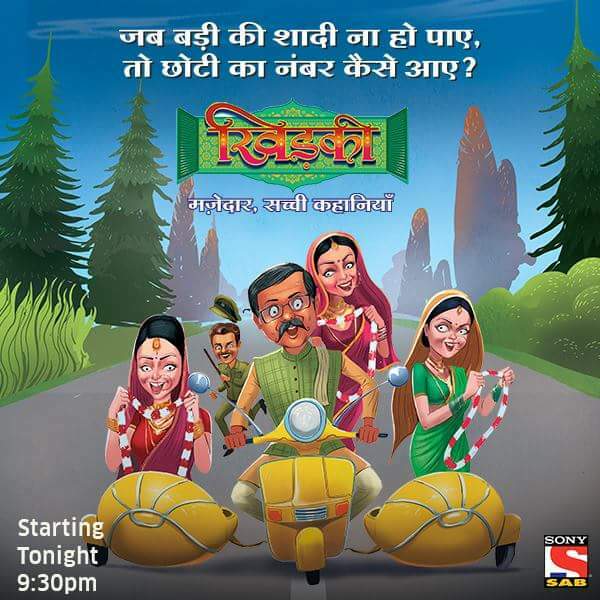 Staying true to its brand belief of 'Differentiation through Innovation' SAB TV brings to its audience yet another unique concept. The channel in partnership with well-known television producer JD Majethia and Bollywood director Umesh Shukla of Oh My God fame has called in for entries i.e. stories from the common man. The entries should encompass unique yet funny stories that one has experienced in their lives, something that holds a special place in their memories and brings out the laughs. The shortlisted stories will then be presented to the world in the form of an episodic series on the channel. For the first time in the history of Indian television, SAB TV will give an opportunity to millions of families to tell their funny stories to the world. The viewers can submit their funny stories on www.sabtv.comor email on humarifunnykahani@setindia.com. The most interesting and entertaining story will be told on-screen and the family will also get a chance to be a part of the series as the story is heading towards the climax. Renowned names from theatre and the television industry are expected to be a part of this initiative. release.We will update the promo once it is available.